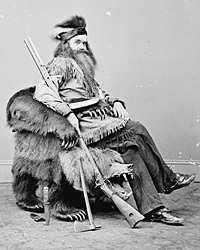 California hunter whose presentation of an elkhorn chair to the President on November 26, 1864 attracted wide publicity. 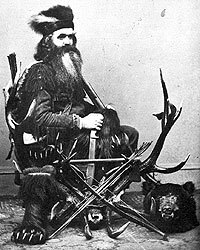 Kinman had a penchant for western buckskin clothes and eastern publicity. Kinman subsequently marched in Lincoln’s funeral procession in Washington and New York. Stanley Kimmel, Mr. Lincoln’s Washington, p. 157.